Today, I introduce you Louis-Marie Borione, one of my colleague and friend, to talk about his work with Grasshopper for civil engineering. 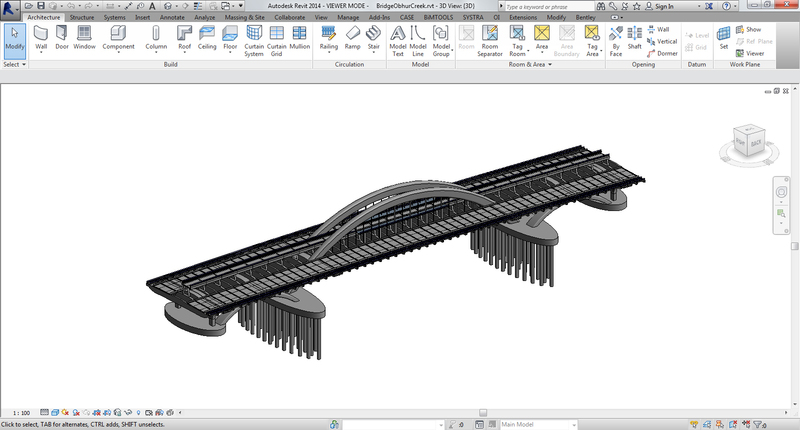 Hi everyone, I am a BIM Manager in a large infrastructure engineering company in France, and I thank BIM42 to give me the opportunity the present you my work on parametric Bridge. I recently worked on a preliminary design for a bridge in the Middle East. When starting looking at conceptual design drawings I came with the impression that we would have to make a lot of hypothesis. For example the height above ground at bridge ends is not dimensioned . 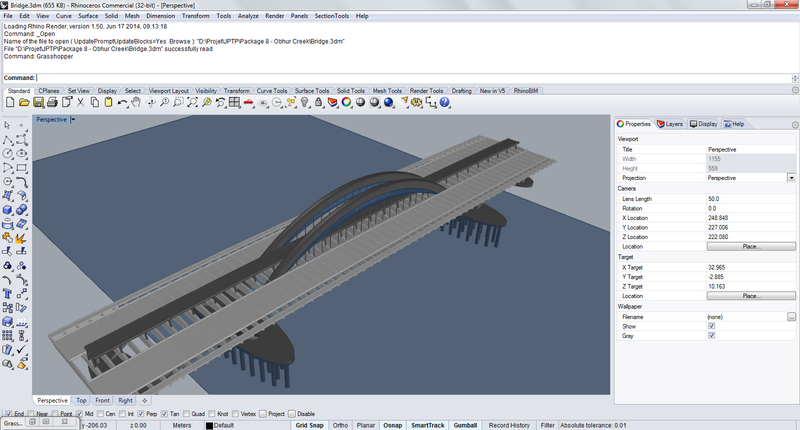 The idea was to produce any kind of BIM model of this bridge therefore I first thought of using Rhinoceros and Grasshopper. Then I had to produce cross sections, longitudinal sections and plan views. I tried to do it within Rhinoceros but the result wasn’t good enough. Additionally some cross beam had a different shape, and using Grasshopper it is difficult to customize some elements. My next idea was to be able to transfer this model to Revit. After a quick tour on Google, I found the grasshopper plugin Hummingbird. Using Hummingbird plugin for Grasshopper you export geometry from Grasshopper to an Excel Spreadsheet and using Hummingbird plugin for Revit you import that Excel Spreadsheet. At the end the process became quite complicated. When changing in input value in Grasshopper it took more 30 minutes to populate that changes to Revit. 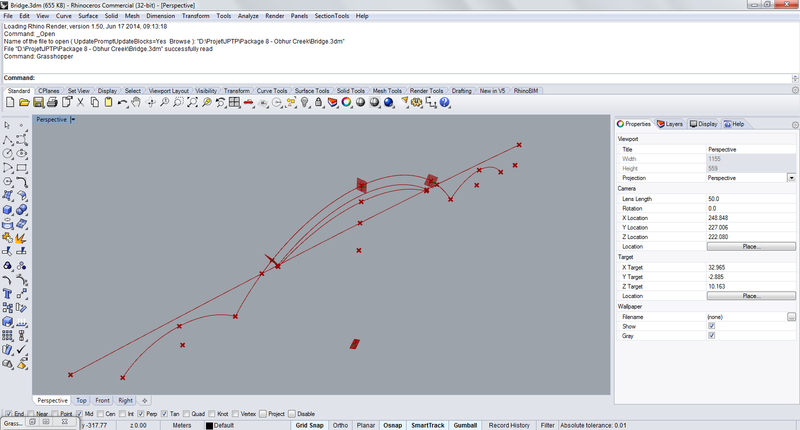 I finally thought about using Dynamo to create directly a parametric model of the bridge within Revit. 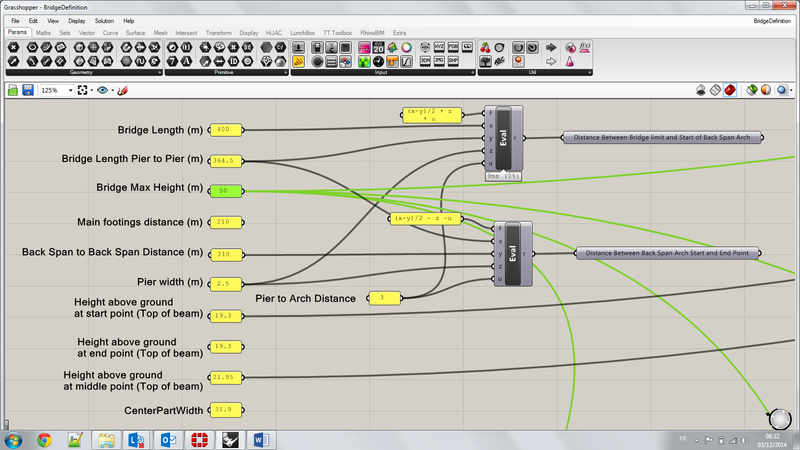 Unfortunately Dynamo is quite hard to use and I think it would make a great subject for a future post on BIM 42. Thank you so much for this content, and I must say I totally agree with you about Dynamo, I should already have started to work with it.